After almost four years as British High Commissioner, Louise Stanton leaves her post and the island today. She discusses her dispute with a union, the monarchy, British Euro-scepticism, immigration and the Arab Spring with Patrick Cooke. Garden parties, al fresco dinners and lavish receptions are part and parcel of being a diplomat in the Mediterranean. A long-running public dispute with a workers’ union is a less welcome occurrence for the head of a foreign mission. But outgoing British High Commissioner is adamant that her conscience is clear, despite accusations from the General Workers’ Union that she had unfairly sacked workers and discriminated against the union. “It’s sad that the union persisted in making unreasonable demands that were not within my gift,” she says. 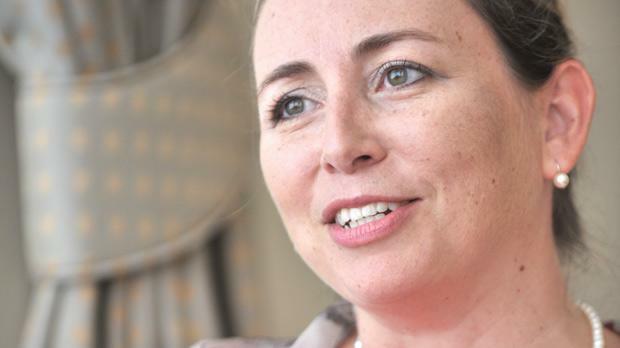 According to Ms Stanton, sala­ries for High Commission staff are “comfortably in the top half” in a table of pay for comparative jobs in Malta. She also claimed that the GWU asked her to employ a full-time person to do a task that involved only four hours work a month. Ms Stanton eventually withdrew recognition of the GWU, leading to accusations that she was anti-union, but she says she was well within her rights as the GWU no longer held a majority among her local staff. The High Commissioner’s Ta’ Xbiex office is large, with sweeping views across the sea towards Valletta. But the High Commission itself is now based on one floor instead of two, another example of the downsizing that Ms Stanton has implemented, which she says has saved around €500,000 per year. Head of British missions worldwide have been asked to cut costs as the coalition UK Government implements sweeping austerity measures aimed at cutting the budget deficit. Ms Stanton says Britain’s struggling economy is inextricably linked to the eurozone and a healthy eurozone is good for Britain. But Britain vetoed an EU plan for stricter fiscal oversight last December, leading to 17 eurozone members signing their own agreement. Is the UK now isolated in Europe? “Not at all. It’s about ensuring flexibility within different membership circles rather than having a rigid system,” Ms Stanton says. The British are not inherently anti-European, according to Ms Stanton, but it is in their psyche to be sceptical. And sometimes the EU doesn’t help itself. The British Government is widely expected to miss its debt targets this year and the British economy fell back into recession in late 2011 and remained there since, but Ms Stanton firmly believes that the focus on deficit reduction is necessary. “It will be a while yet before results are seen,” she says. Despite the gloomy economic climate, many Britons traded their stiff upper lips for smiles this summer for the Queen’s Diamond Jubilee and the Olympics. Ms Stanton says she was delighted to be in Malta for the Jubilee celebrations. What is it about the monarch that made Britons so enthusiastic about her 60 years on the throne? Ms Stanton is an unashamed monarchist, so how does she respond to republicans who say the monarchy is archaic and encourages servility? In the final weeks of her post, several Western diplomatic missions were attacked in Islamic countries during protests against a crude You Tube film which mocked the prophet Mohammed. American ambassador to Libya Christopher Stevens was killed during one such attack in Benghazi. Who was to blame for the violence, the film-maker or the perpetrators? “That’s a really tricky area, it’s not for me to say,” she says, adding that freedom of speech is enshrined in the US constitution. Despite ongoing problems with militias in Libya and the “ab­solutely tragic” killing of Ambassador Stevens, Ms Stanton still deems the UK and Western support for militias to overthrow Muammar Gaddafi as the right thing to do. “That operation was successful because Gaddafi had isolated himself, there was international consensus led by the Arab world, and the Libyan people coalesced into a united opposition. They needed help to stop violence,” Ms Stanton says. She does not, however, believe there are similar conditions in Syria, which would allow for international intervention to help rebels overthrow Bashar Al-Assad. It’s important that you don’t get rid of one leader only to create an even worse situation of civil war. Ms Stanton believes the Libya conflict gave a boost to Malta-UK relations, with Malta playing an active role in helping evacuate people from the war-torn country and playing host to many NATO ships. She says Malta’s role proved it could play a part in “humanitarian missions” without compromising its constitutional neutrality. The British Government has been steadfast in its opposition to any EU ‘burden-sharing’ initiatives that would involve it taking refugees from Malta. The High Commissioner says the UK is concerned that burden-sharing would be another pull factor for people trying to enter Europe irregularly. Once in Eu­rope, many would try to join their friends and families in the large immigrant communities in London and other cities, she says. It was pointed out that EU burden-sharing involves people with protection status, not illegal immigrants. The UK has also helped Malta facilitate connections with African countries to assist it build its capacity to return failed asylum seekers, Ms Stanton adds. For her next mission, she has been selected by the Foreign Office for a prestigious course at the Royal College of Defence Studies and to study a Masters in international security and strategy. But she will miss Malta dearly.